Do two million acres of unspoiled mountain wilderness sound like your kind of thing? We're right there with you. Let our guides show you some of the best untracked snow and scenery that Utah has to offer. 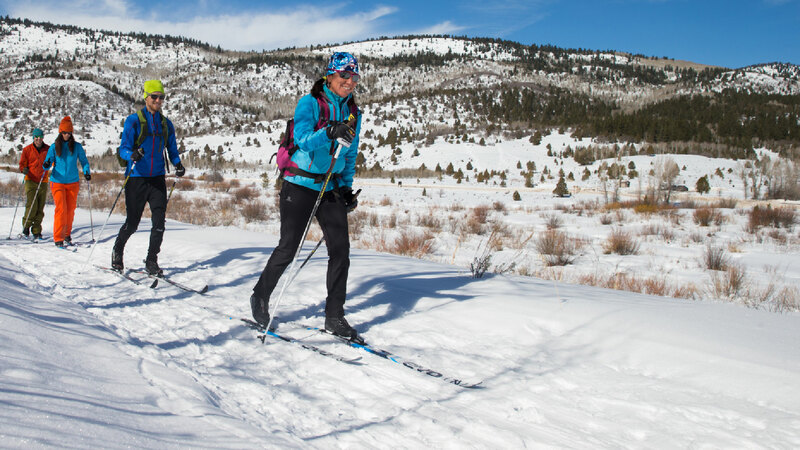 With long treks into fresh powder, a backcountry cross country skiing tour is one of the best ways to get some exercise outdoors in the winter. With a local guide by your side and the snow stretching for miles, you will experience the remote Uinta Mountains at their quietest time. Take a moment to soak in the majestic views when you stop for lunch, and feel connected to the true backcountry origins of Nordic skiing. Prior to the day of the tour, your guide will contact you to find out what sort of skiing you're looking for and to plan a route accordingly. It's that personal touch that makes our cross country ski tours a true local experience, and keeps people coming back year after year.